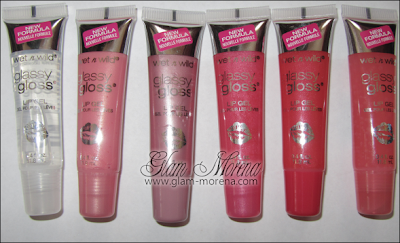 Glam Morena: Wet n Wild Glassy Gloss Lip Gel. Wet n Wild Glassy Gloss Lip Gel. Introducing Wet n Wild Glassy Gloss Lip Gels, which are available in six shades. They smell of a fruity watermelon scent. Some shades have a color tint to them, but for the most part they're all pretty sheer. Best of all the formula is non-sticky and not thick. These are great for those who like a sheer gloss or for layering over lipsticks. I prefer applying these over my Wet n Wild Mega Last Lip Colors because they add a nice glossy shine. If you're looking for a gloss that gives off more pigmentation then these may not be for you. Description: Ultra-glossy, sheer gel adds high, glassy shine with a hint of color in an oh-so-lickable fruity flavor. Enriched with vitamins, nutrients, oils, and antioxidants to moisturize while keeping lips soft and supple. Wet n Wild Glassy Gloss Lip Gel from left to right: Through the Looking Glass, This Too Shall Glass, Glass Confusion, Glass is in Session, 3, 2, 1 Glass-t Off!, Mow the Glass. 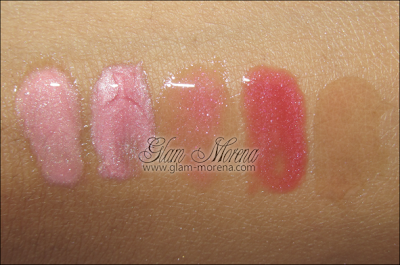 Swatches of the Wet n Wild Glassy Gloss Lip Gels! Have you tried the Wet n Wild Glassy Gloss Lip Gel yet? 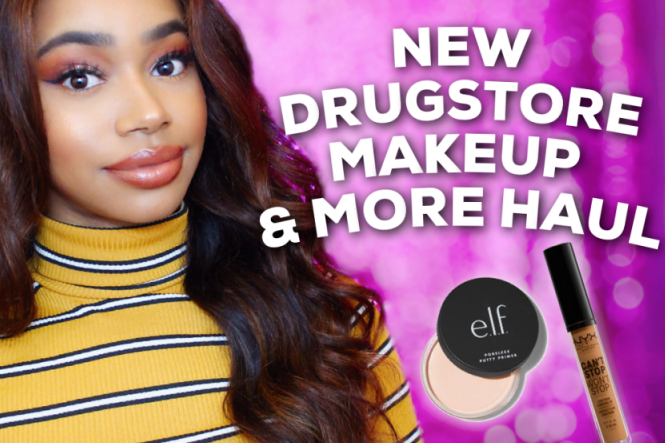 What order are the swatches in? I really like the first three but I can't tell which names they are. Are they sticky? @Jenn Staz - They're in the same order as above minus the clear (Through the Looking Glass) being first. They are not sticky. Havent tried these yet. But I def will soon! I always seem to overlook these BUT now I must try them! I'd like to add a sheer warm pink to my gloss "arsenal," and I'm thinking "Mow the Glass" might be a good choice.